The other day my phone died. Not permanently, I just ran out of power when I was out, away from a charger. I wasn't helpless, but I kept reaching for the phone anyway, to check the time or to make a note. I really use the phone for many, many different things now. It got me thinking I could assemble a pile of all the things my phone replaced. 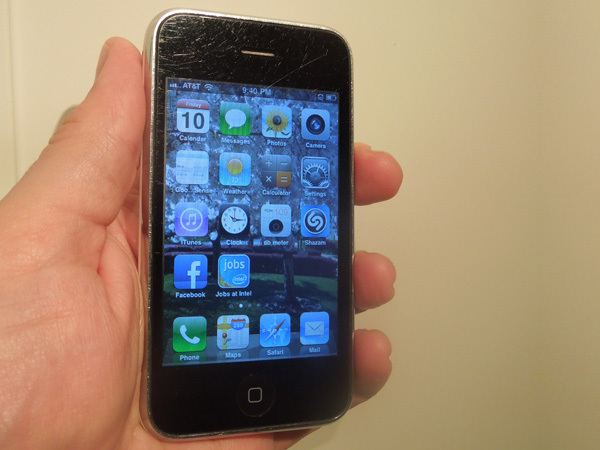 First, here is a picture of the phone. 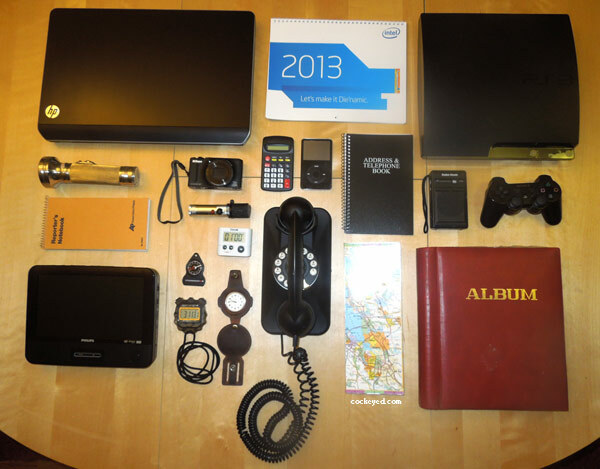 And here is a picture of all the stuff it replaced. 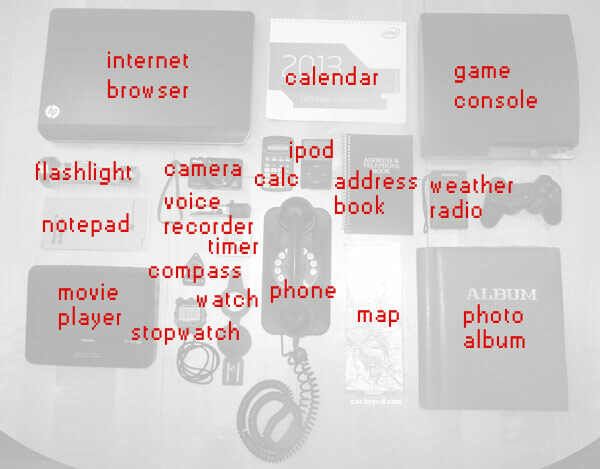 As you can see, it replaced a phone, the wall calendar, my photo album, the weather radio, a calculator, an ipod, a pocket watch, a kitchen timer, a stopwatch, a compass, an address book, a game console, the netbook, a voice recorder maps, and to a certain extent, a flashlight and my camera. Incredibly, it also significantly reduced the need to carry a pen.